Kristian Gaarskjaer’s latest album under his musical alter ego pseudonym, Select Captain has him come through with an intelligent, Americana focussed singer-songwriter record. Recorded at Homeless Studios in Copenhagen he also utilises hints of late 1980s early 1990s indie pop rock. On the back of his debut release The Fear And The Lights he once again impresses with his honest heart and soul style of music. Gaarskjaer’s songs deal with joy, despair, arrogance, loneliness, greed and optimism as he allows his thoughts and fears, plus general everyday emotions spill forth in artistic fashion. Supported by guitars, keyboards, bass, drums, mandolin, lap steel, organ and piano the record is ever busy, instrumentally. Mathilde Falch on harmony vocals does much to ensure “40 Nights” provides a welcoming and graceful ambiance. More of the same would have been nice from the couple. However the evolving music and avenues explored are forever changing. 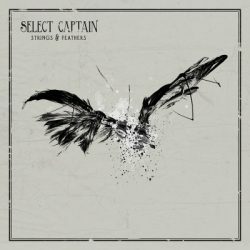 Subtle, flexible and innovative Select Captain pushes and prods music’s boundaries. Among the finest demonstrations of the creativity and depth is “Out Of The Way”, and then with a splash of energy “Tumbling” prior to the spare intimate opening to “Reflections Revised” and superb closing piece “Where I’m Bound”. This as he speaks of time running out, and of where he’s bound, and with beautiful harmony arrangements added his vocals and the tune’s sombre theme is given a rich and graceful feel. Select Captain on first listen may sound like a good many others, but it’s the occasions when less is preferred to more that pay dirt tends to come about. Or an addictive and utterly composed song as “Pretty” comes to light; and for this song alone I would suggest Select Captain is worth a serious listen. Not least for the gentle coercing electric guitar.